Payroll is the most expensive part of running a business, but you can run it more efficiently with better technology. Your books are reconciled with perfect precision down to the last penny, so your team can run smoothly. Perfection to the last penny. Payroll is no piece of cake. A minor miscalculation can add up to a major malfunction. As a result, your reputation — and your business — can be burned. Our team of experts will keep your cash where it belongs. Rules-based Calculations: You set the rules, the system calculates the results. 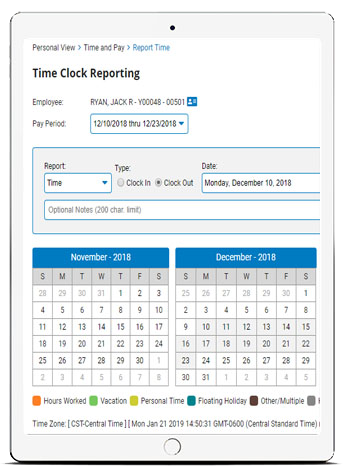 Unlimited Pay Types: Sort variable pay types by hours, pieces, employee classification, project, activity, and many more. Arrearage: Automate tracking of unpaid earnings and uncollected deductions. Implementation that won’t nickel and dime you. Companies need to evolve quickly and efficiently, so our implementation follows a three-step plan — strategy, tactics, and execution — and we do it right the first time. Approach: Discovery-focused exploration ensures that we’re solving for the right things. 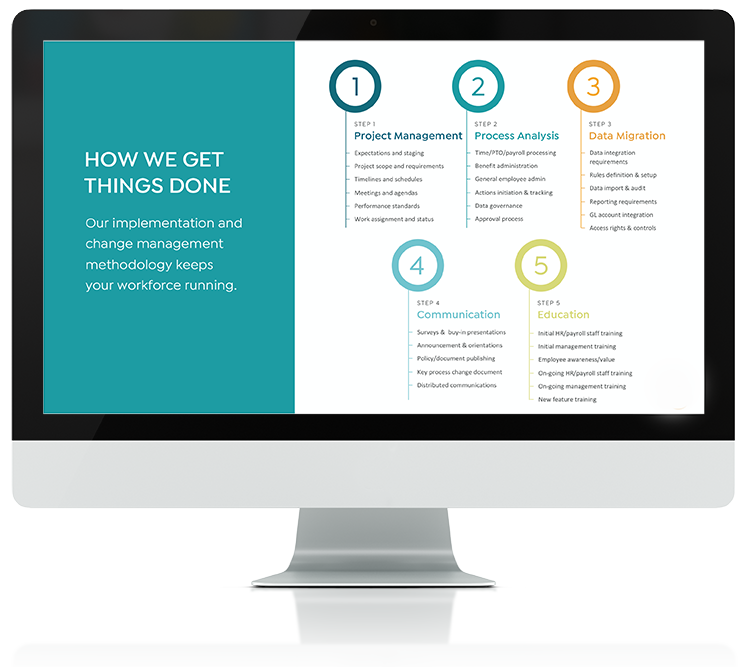 Methodology: Deliver effective results through a proven process. Validation: It doesn’t cost you more for us to do it right. Our software does the work for you. Transactions can scale infinitely with the right processes in place, keeping you accurate, efficient, and powerful — all automated to cross your 10s and dot your W’s. Initiation: Start automation with activities from employees and managers. Workflow: Organizational structure automates workflow and provides re-routing capabilities. Notifications: Provide alerts and reminders for transaction approvals.